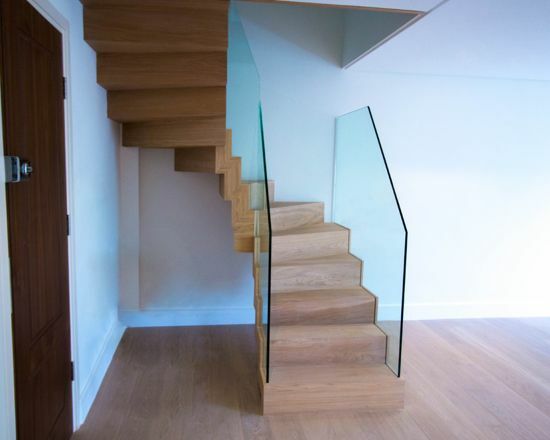 For this project, we designe da zig zag stair case with a glass balustrade. 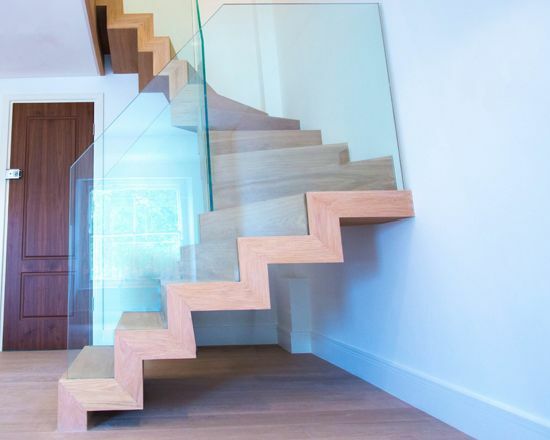 Though it fits into a square on the floor's surface, the wood treads and risers coila round to create a unique look. 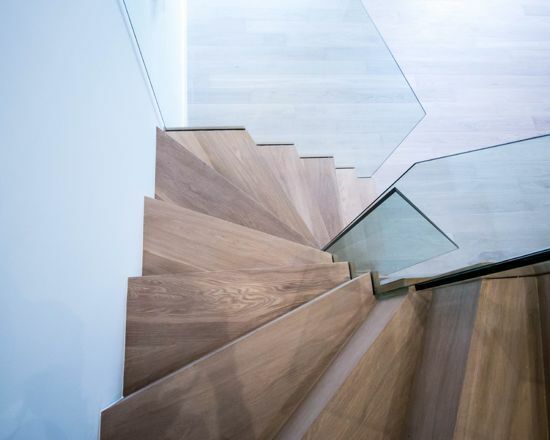 Thematerial for the treads was chosen to match the flooring.Thanks to thede sign of the steps,we could install the glass balustrade between the fascia, creating a cohesive look.